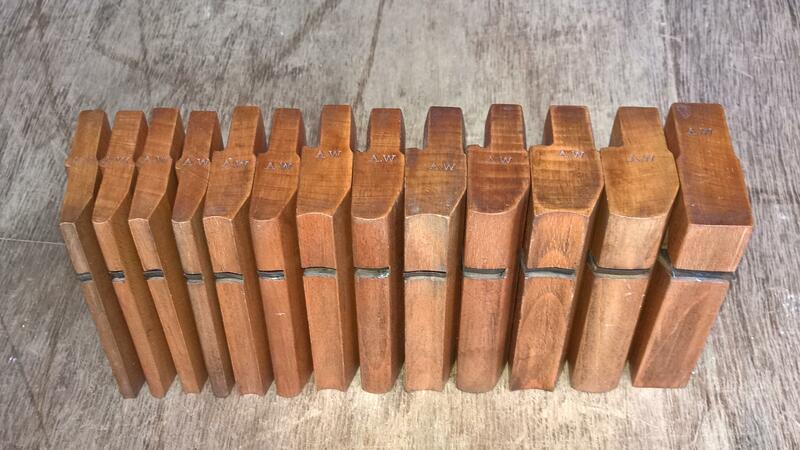 Miniature Moulding Planes by MARPLES? 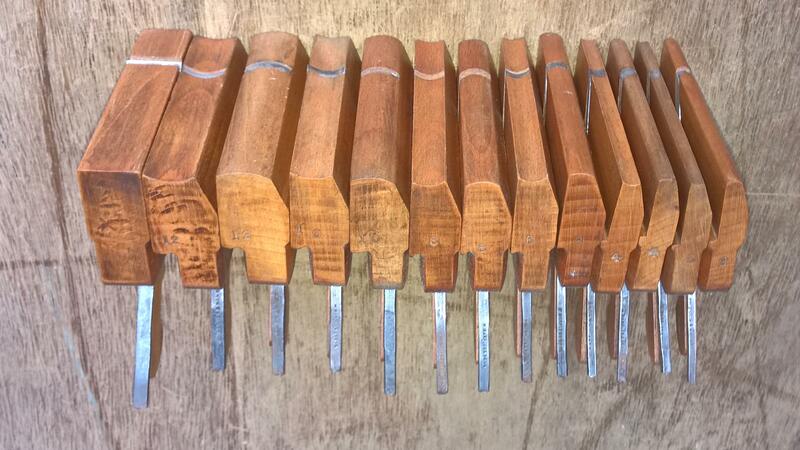 A group of 16 miniature moulding planes or thumb planes. Pairs of No.2, 4, 6, 8, 10 and 12 hollows and rounds, a straight rebate or rabbet plane, square ovolo, astragal and centre bead. The hollows and rounds and rebate are 4 3/16 inches long and stamped 'AW' on the toes. 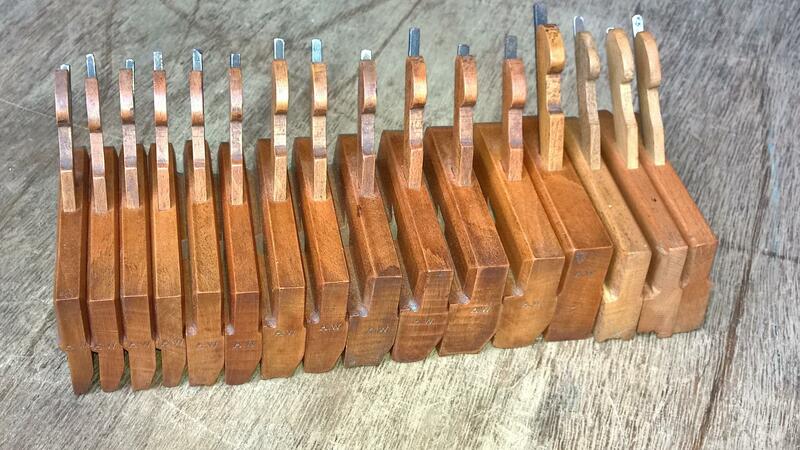 11 of these have MARPLES blade irons fitted. 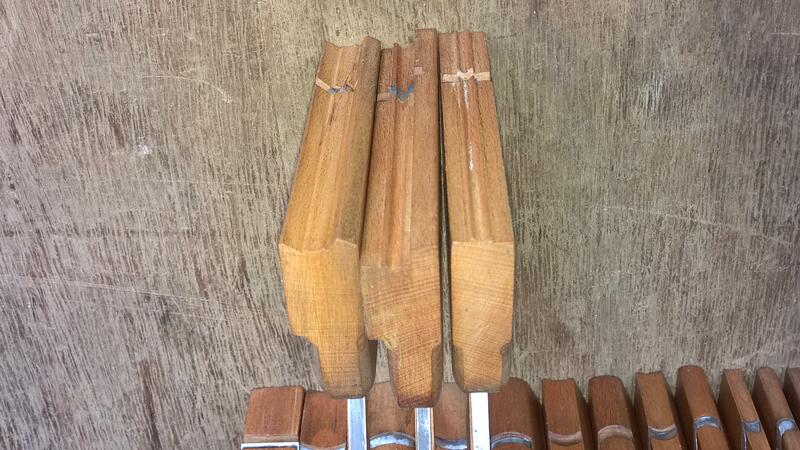 The three profile moulding planes are 4 1/4 inches long. All appear to be professionally made, possibly in the MARPLES factory? Part of a one owner kit and now residing in a private collection.